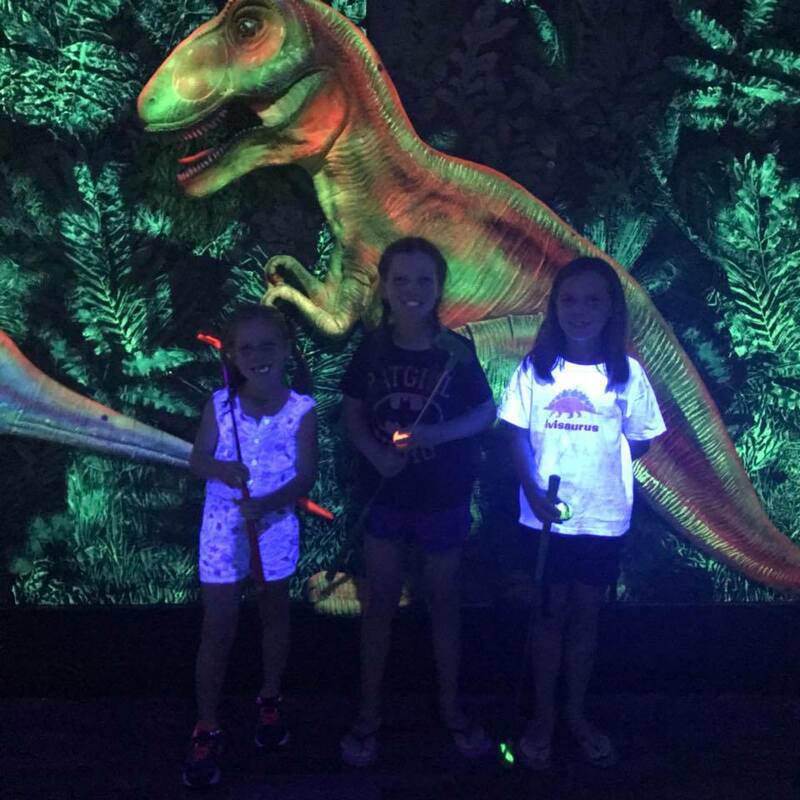 It sounds like a weird combination- dinosaurs, putt putt and glow in the dark paint, but somehow it really works! 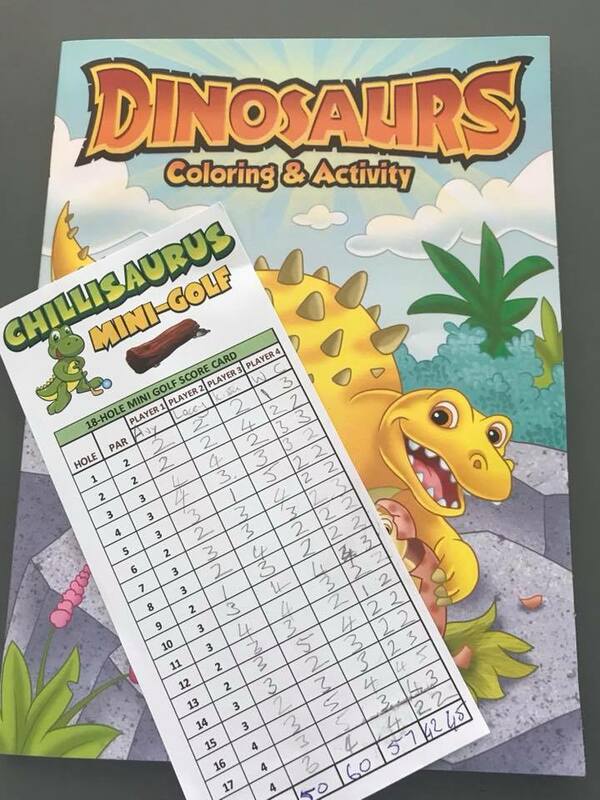 Named after the recently classified Chilesaurus, Chillisaurus mini-golf in Merriwa combines all these and the kids love it! The foyer of Chillisaurus gives you a taste of what’s to come. There are posters lining the walls of different species of dinos and a huge Flintstones car in the corner! 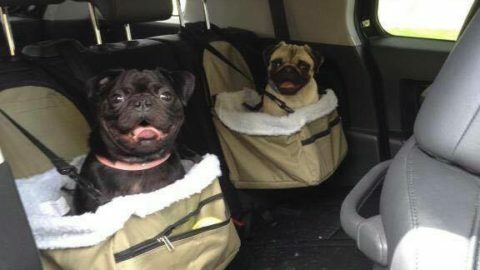 Perfect for happy snaps! 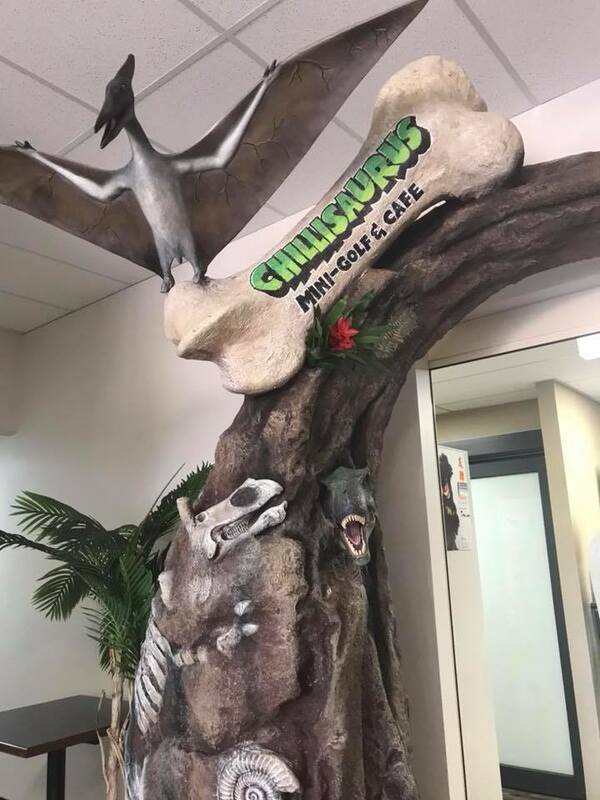 The reception area is marked by a huge archway with dino fossils poking out of it, very cool. 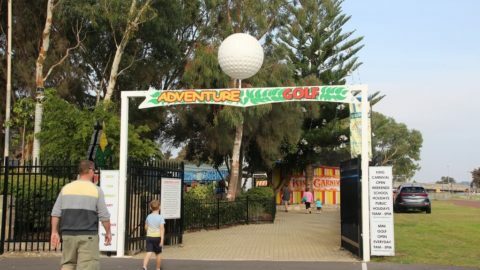 The mini golf costs $18 per adult and $12 for kids (discounted family passes are also available). They have lots of different size clubs to fit everyone. 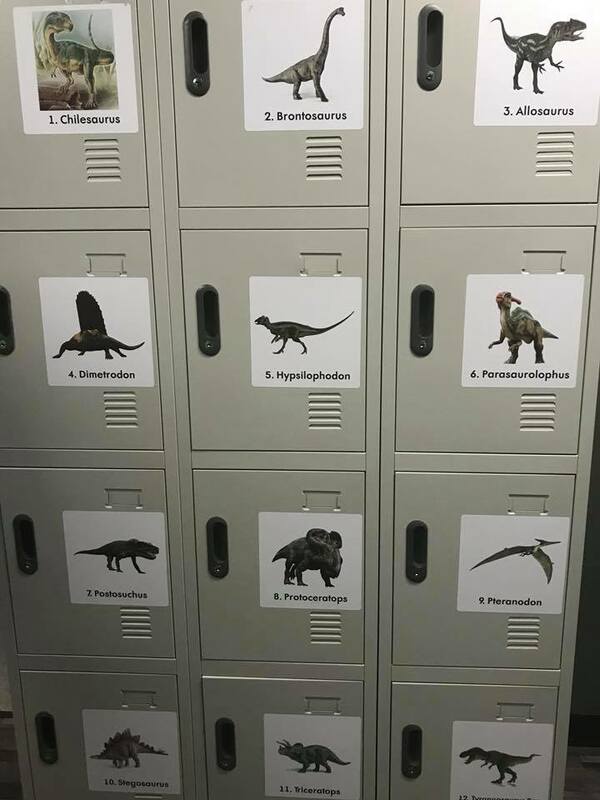 There’s also free lockers to store your belongings. 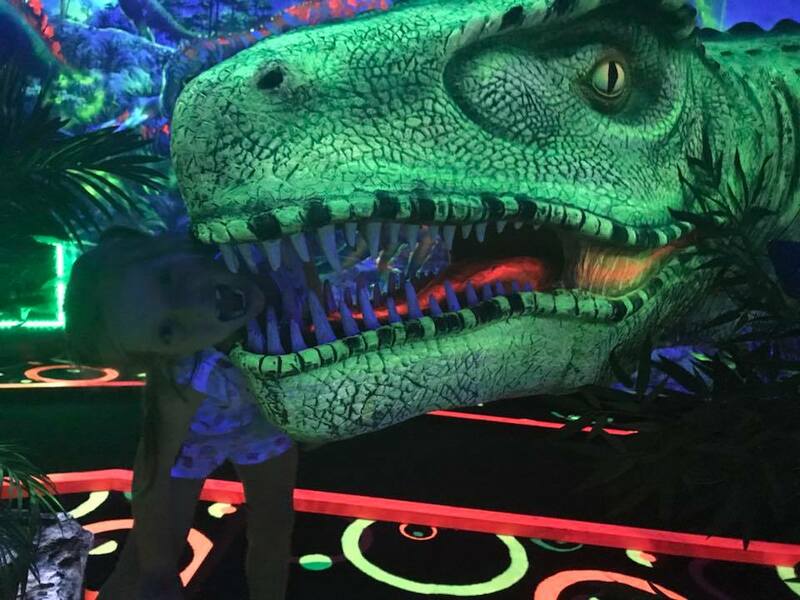 Once you’ve got your club and ball it’s time to pass through the automatic door and into a prehistoric world! 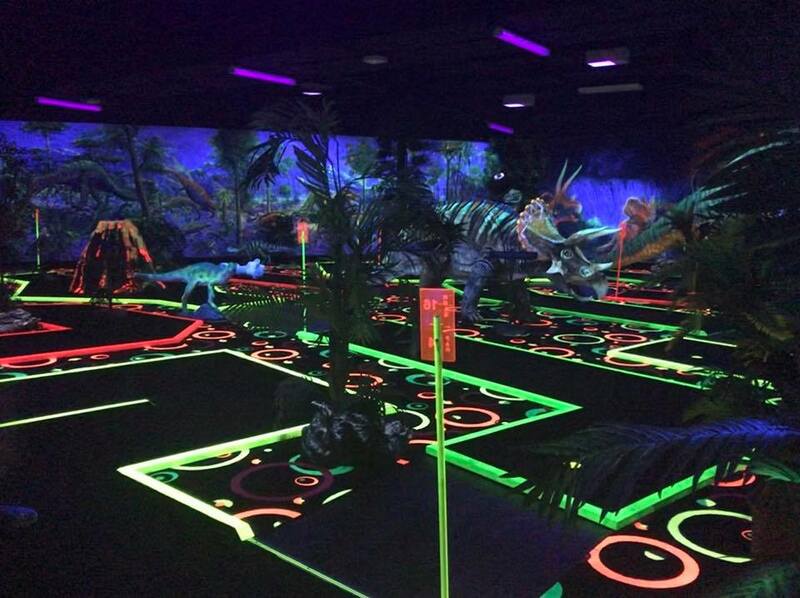 The 18 hole course is housed in one huge air-conditioned room, the walls of which have an amazing mural painted on them. Everything in here glows! 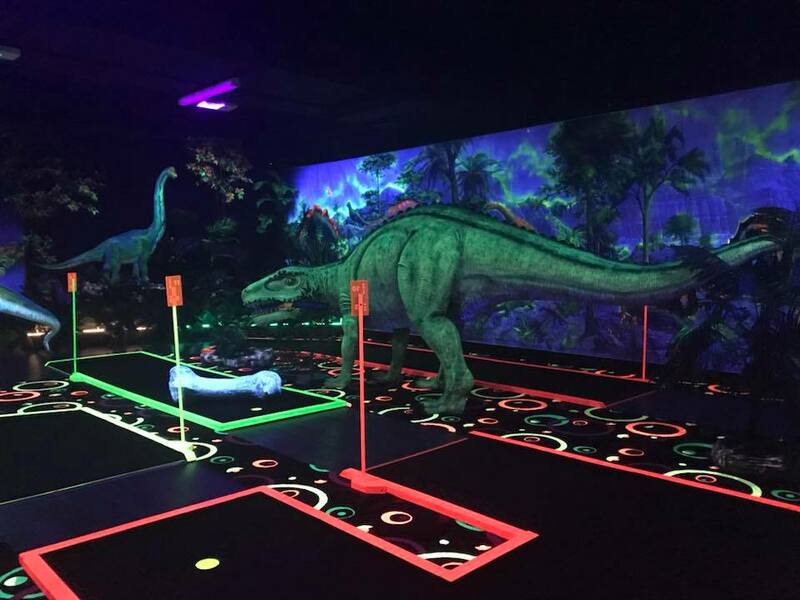 The floor, dinosaurs, walls, even the club and golf ball! The holes are varying pars and are quite close together (keep an eye on the number of the hole you’re on as we did we did see some people get muddled up). 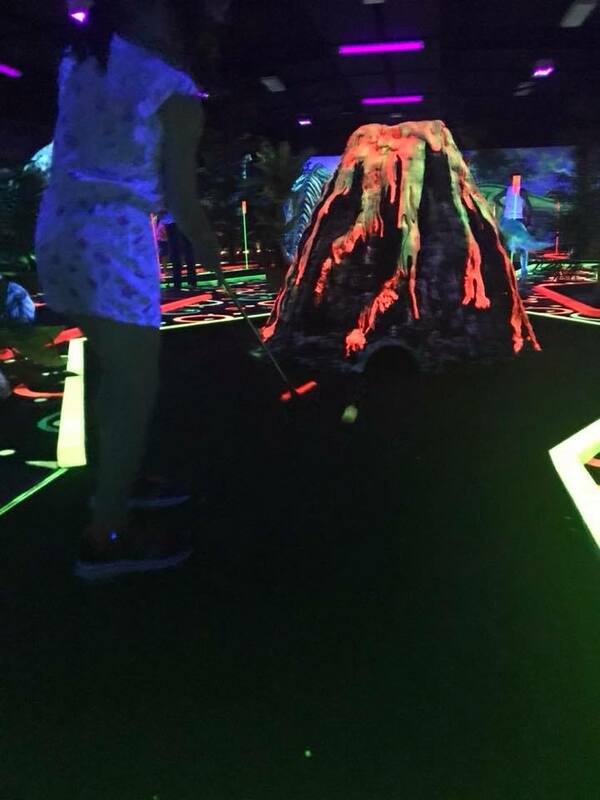 Dotted in between the holes are huge dinosaurs and one hole even features a cool volcano that you have to putt through! The kids loved exploring the statues and fountain in the corner. 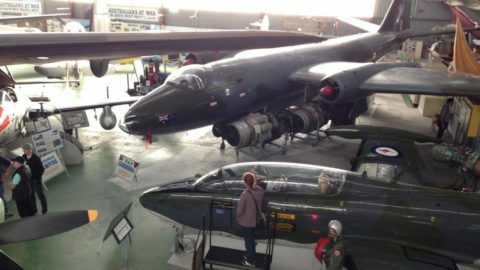 We finished the course fairly quickly so the lovely manager let us go around again for free. The kids were all given a free dinosaur themed colouring-in book when we left. 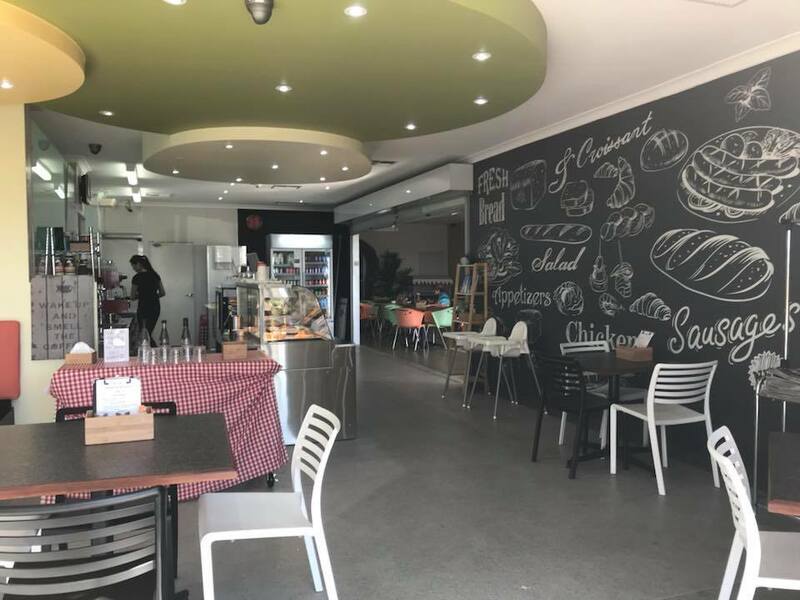 Upon exiting you can grab a snack from the Bakehouse which adjoins Chillisaurus. 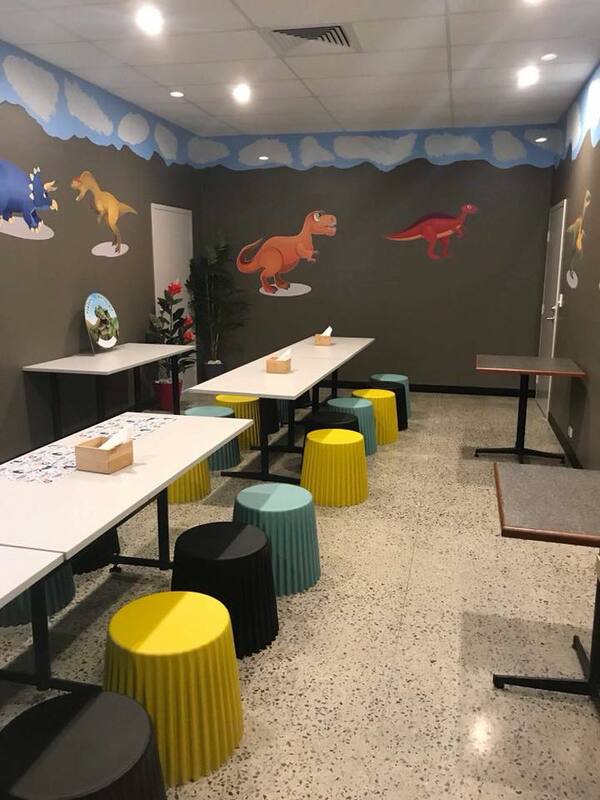 If you haven’t had enough dinos you can grab a dinosaur shaped cookie or dino cupcake! 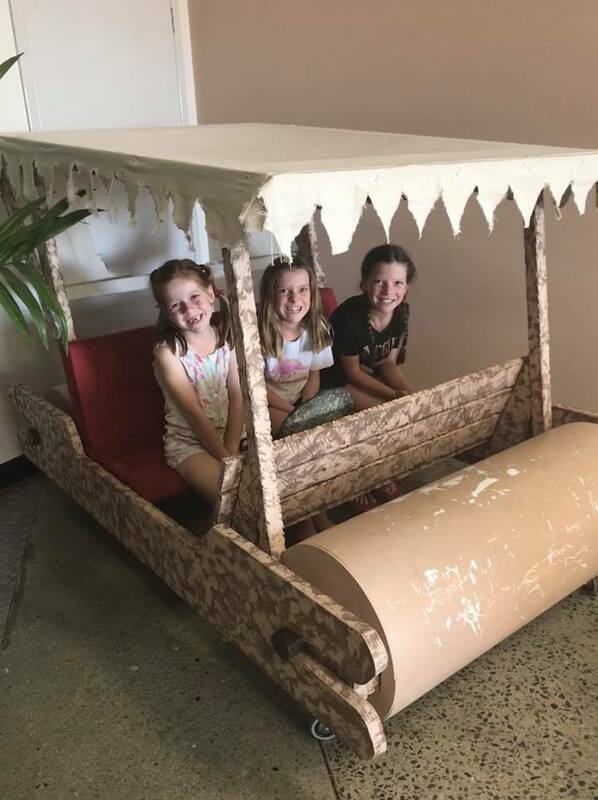 Also adjoining the same foyer is the private party room for Chillisauraus, packages start at $20 per head and include mini golf and a meal, they even have a pancake meal option which would be great for a breakfast party! 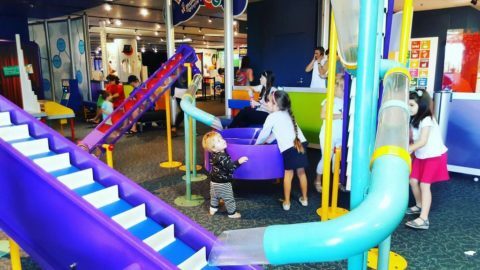 We thought this centre was pretty cool and being indoors makes it the perfect rainy-day (or stinking hot) activity for kids aged 5 and up. 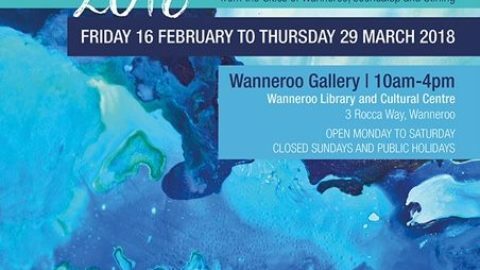 Check their Facebook or website for opening hours as they vary. 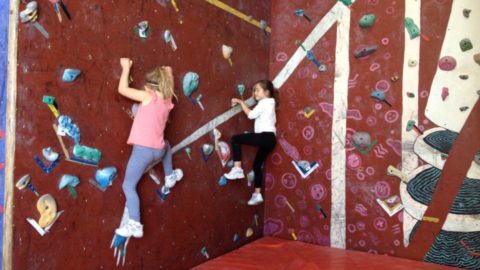 Clare Armstrong is the stay-at-home jeweller behind Little Waves and mum to 3 adventurous gidgets. 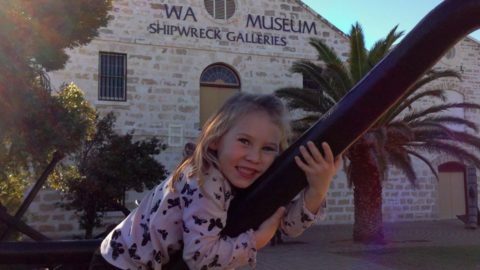 Being a 5th generation West Aussie she is keen to share the virtues of her hometown.